Striking with the back of a closed fist in a snapping motion, the backfist is a very quick strike executed from the lead hand most often directed at the opponent’s face or groin. The backfist can be used to disrupt an opponent’s attack, or to set up a follow up technique such as a reverse punch, a grab or kick. The backfist can be effectively delivered from different angles causing extensive pain. Even with little training students can begin to generate explosive speed and power. The reverse punch is a power strike executed from the rear hand. It can be directed at the opponent’s face, ribs or solar plexus. This strike derives its power from the torque generated from the student pivoting on the rear foot, twisting their hips and the cork screw motion of the hand all occurring in unison right as the punch is being delivered. A similar punch from boxing is the “Cross”. This strike takes a little more practice to become proficient, but totally worth it. While the front kick is considered the most basic of kicks, and the first kick most students learn, it is arguably the most effective kick there is. It is easy to learn, easy to execute and even the beginning student can generate considerable power with little practice. Depending on the flexibility of the student, the front kick can be delivered to an opponent’s knee, groin, abdomen, ribs or face. It is a favorite for self-defense. While punches and kicks are effective strikes, elbow strikes reign supreme as the ultimate strike for “up close” combat. Elbow strikes can be delivered from a wide variety of angles against numerous targets. No matter what body part you strike with an elbow, it’s going to be effective. Even with little training students can generate tremendous power. Another extremely effective up close strike is the knee strike. Again it is easy to learn and generates tremendous power with very little training. Any body part you strike with a knee is going to hurt, but primary targets are thighs, groin, abdomen, ribs and the head if the opponent is bent over. The jab comes from the world of boxing. When executed properly the jab is deceptively effective and painful. It is a very quick strike executed from the lead hand most often directed at the opponent’s face to disrupt an opponent’s attack, or to set up a follow up technique such as a cross (or reverse punch), elbow strike or even a take down. It is important to train with a qualified instructor. And always be sure to train safely and within your skill level to avoid injury. 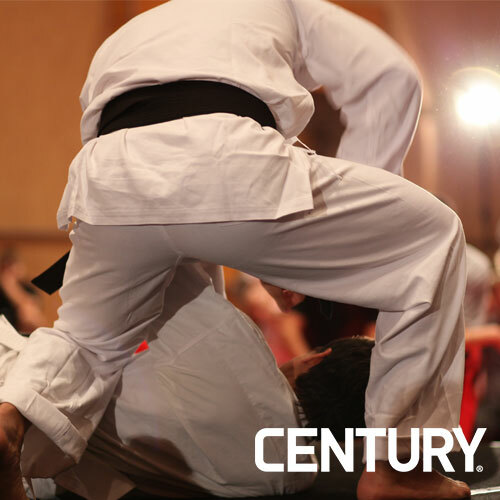 Be sure and check out Century Martial Arts for all your training needs. Now find an instructor and begin your training in martial arts today!